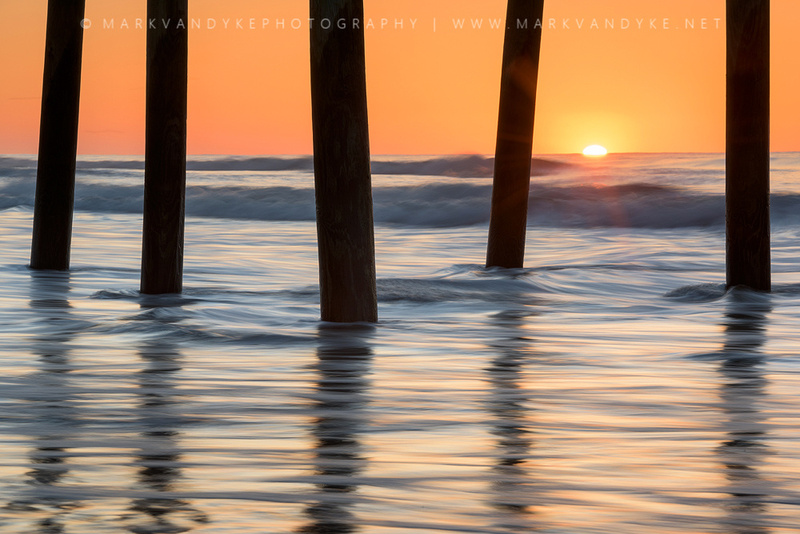 The sun rises beneath the Folly Beach Pier in Charleston, South Carolina. Thanks! This was a tough morning in reality. Went out looking for big skies and instead found crystal clear conditions along the beach. I immediately swapped the wide angle for a medium tele and found this particular composition at the central pier. From there it was just a waiting game, hoping that the sun would rise in the frame and all the other moving elements would line up to make something. Thanks so much for the good words!